2. 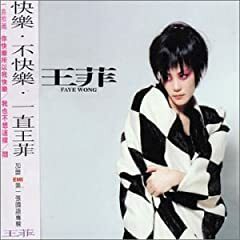 Album: Yu Yan (Fable), because of the first 5 compositions that Faye composed. These songs are telling a story and really fit eachother with a very alternative feeling to it. Furthermore Goodbye firefly is one of my favourite songs as well! 6. Photo: http://ecx.images-amazon.com/images/I/416XQFAQNNL._SL500_AA240_.jpg because she looks so alternative. 1. 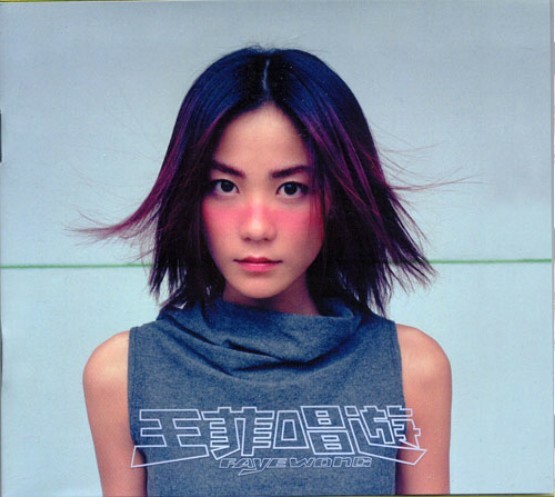 Song: Kai Dao Tu Mi （开到荼靡） [Last Blossom], first track of 1999 Only Love Stranger album, like the music arrangement, the distorted feel. 2. 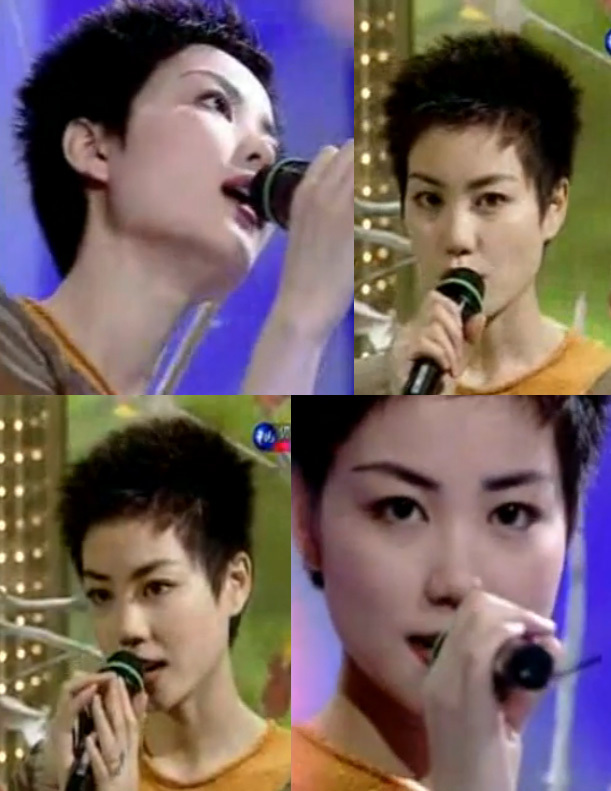 Album: 1998 Chang You （唱游）, faye uses different voice to sing each song, I don’t think any asia female artiste can do that. 5. MV: TVB version of Seasonal Wind (季候风), this MV is different from a typical faye’s MV, this is a rare one where there is someone who act as faye’s boyfriend in the MV. 1. Song: 哪兒 [Where, from Restless], i’m forever amazed by her extraordinary capability to control her voice (volume, beat and so on) according to a song’s feel. other than technicalities, this language-less song has helped comfort me through stressful and distressful times for over a decade. the magical effect of this song on me is so far unparallelled. 2. Album: 浮躁 [Restless]. very soulful, very real. simple feelings expressed with much needed clarity. maybe it is the way she found to expressed those feelings that makes it so clear. also, i can always feel the fizz of a summer in all the songs in that album. 5. MV: 無常 [Sporadic from Restless]. so carefree! 6. Photo: 自便’s [Help Yourself] album cover picture. she has put so much of herself to her loved one, and she has hurt. so the picture taken (or rather published) at that time makes me feel so much for her. 8. TV Performance: 千岁情人 [Eternity]! whou… the beginning of my love affair with her. Or did i start liking her before? haha.. i cant really rem. 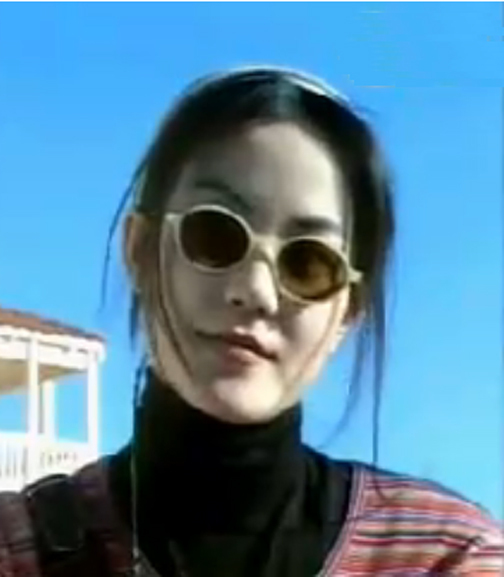 In this rare early MV, Faye Wong (王菲) sings “No Regrets (Marching Band Mix)” from one of my favorite albums, Mystery, which was released in April 1994. The video is from a YouTube upload by TVMoon on 22 April 2008. The quality of this video is outstanding! 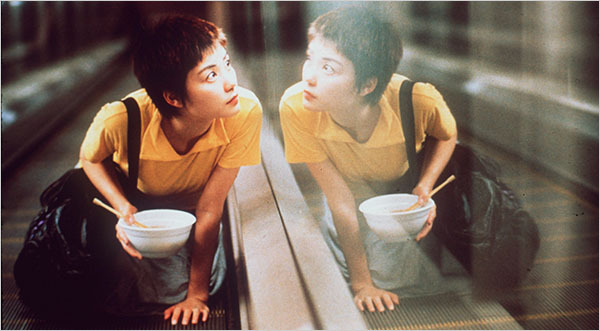 We see Faye as a 24-year-old, at the time when Chungking Express was filmed and released. Stunning close-ups of her beautiful face and mesmerizing eyes make this one of the most unforgettable videos.